What is the unexpected victory of "Green Book" at Oscar 91th? Not difficult to understand when the film directed by Peter Farrelly is subject to many opposite reactions when winning the category of Best Film at Oscar this year. In addition to telling stories that are soothing “gentle”, Green Book also makes the audience the most onlookers on Twitter disagree about how to build musician character Don Shirley (Mahershala Ali), about the formula “savior White “familiar. So what makes this work to surpass representatives like BlacKk Klansman, Roma or Black Panther to become the “brightest” name Oscar 2019? For a lot of Oscar voters, good Hollywood movies have to come up with a painful problem and close it in a way that makes viewers feel good. The last three years marked the bottom of Oscar with a lot of incidents from the scandal of confusion to the wave of feminism and public indifference. It seems that the big victory from the Bohemian Rhapsody and the Green Book shows that the members of the Academy are driving Oscar back to the dream of ethnic reconciliation. For people like Spike Lee (nominated for a director with BlackKkKlansman), the Green Book’s victory is a “bad choice” because more than anyone he knows, racial harmony after just one trip, a few letters and a chicken wing is an illusion. But the trend of cinema is always spinning, and this year Oscar chose to honor Farrelly’s soothing. 2. For Hollywood’s “powerful uncles”, the Green Book is still a radical film (and the “Oscar movie” style). “Green Book” is a sweet film with a poetic image. The Green Book is very similar to a movie and also about the topic of people winning each other Oscar 30 years ago is Driving Miss Daisy. In a year that cinema has made a lot of breakthroughs in many respects, the classic nature of the Green Book has been satisfied with old ballots. There is no excess money that poured into the Oscar lobby like Roma and A Star Is Born, Green Book chose to promote smart and effective. Farrelly did not receive an Oscar nomination for the Director category, but his warm and easy-going humor was popular with many members at the Academy instead of someone throwing things at the actor and being fired or someone else “feels disgraceful” for not being nominated. No play, no “deep play”, this filmmaker chose a peaceful approach to the Oscar election board. 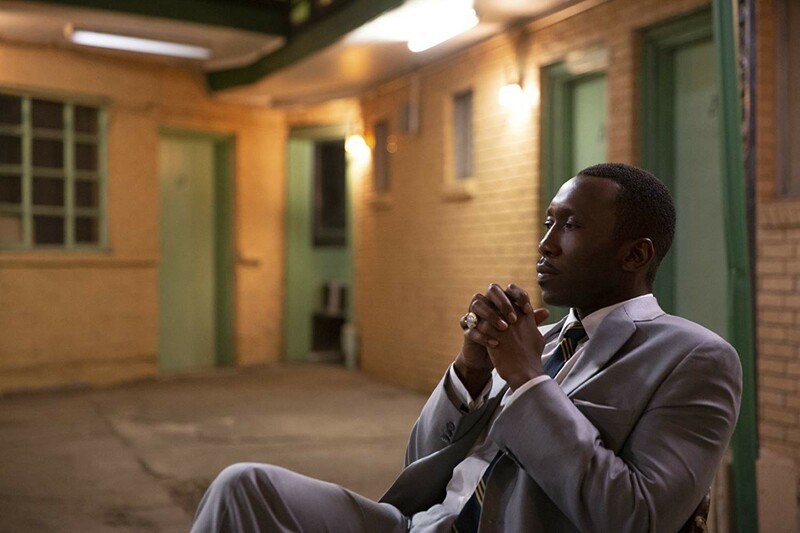 Hollywood’s favorite face, Mahershala Ali, has also given good words to the Green Book with appreciation – which brought Ali to the next Oscar in his career. The film also received the support of famous black names like Kareem Abdul-Jabbar, Quincy Jones, Harry Belafonte, and Rep. John Lewis. For some people who have gone through years of exile in America’s racist period, witnessed a film with a beautiful fairytale ending that allowed them to move on and hope for the future.